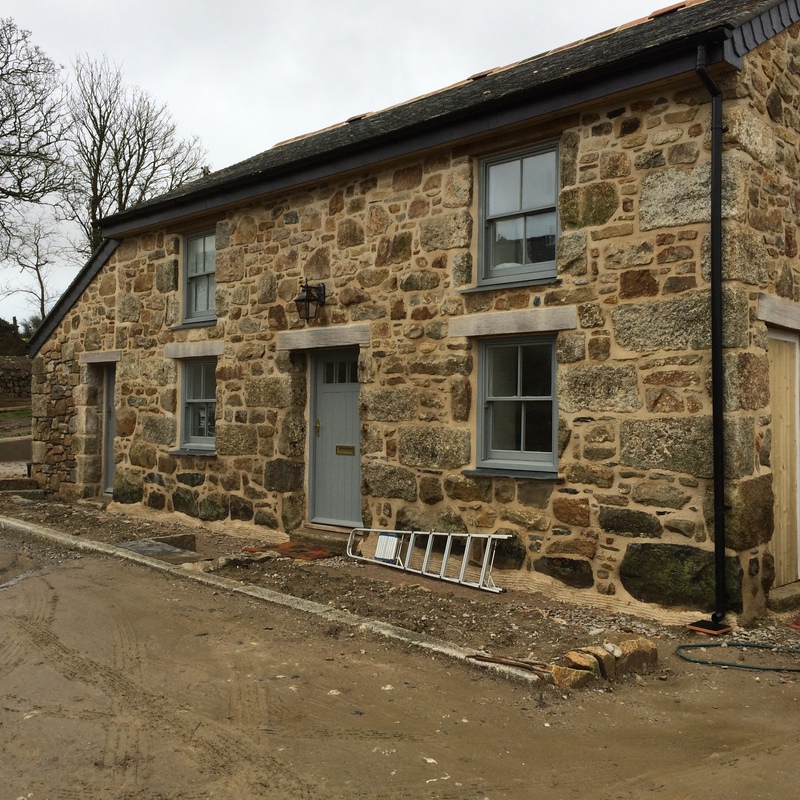 Here are a selection of pointing jobs we have completed over the years. This is a pointing recipe of my own invention. Part of the old burnt down pier of Falmouth was used as a lintel. 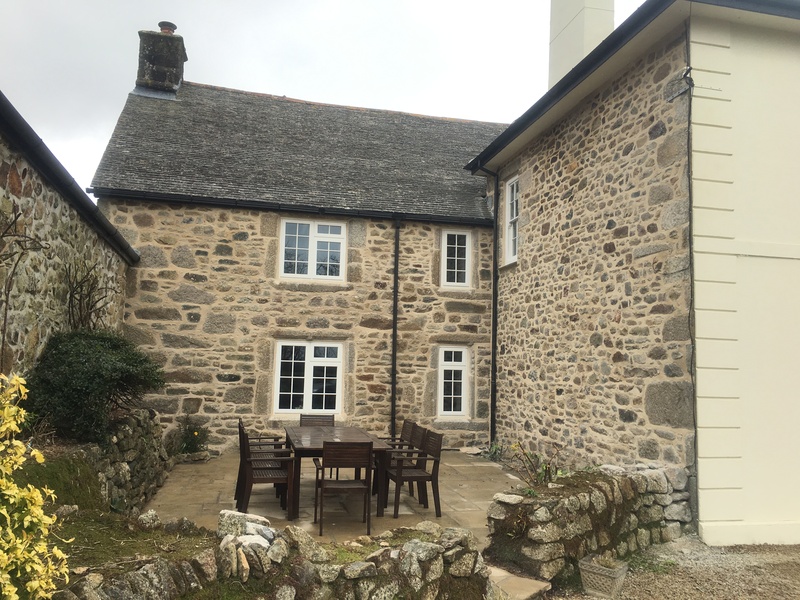 It was cut into the stonework of the existing building when we built this extension. I was very pleased with the aesthetic on this job. 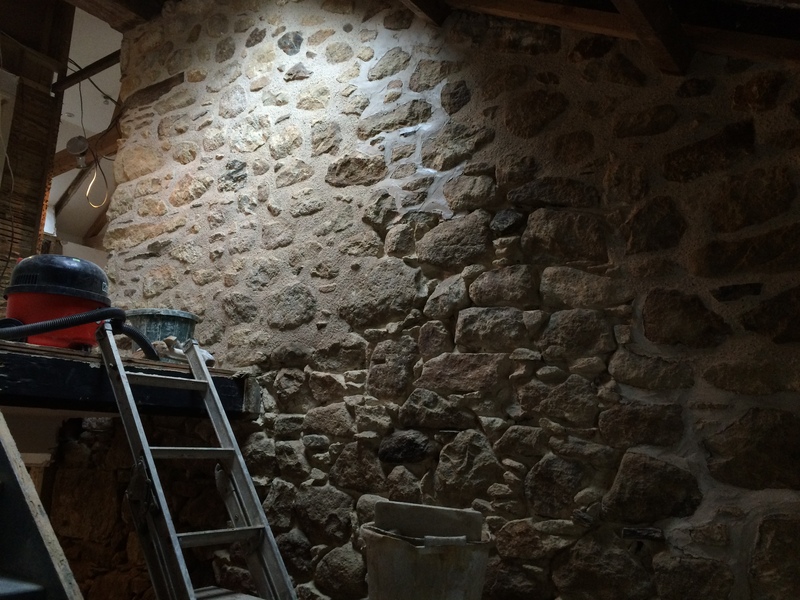 Lime pointing is lighter than cement pointing. It has a much more pleasant feel . Here is an action shot of an ongoing internal pointing job. 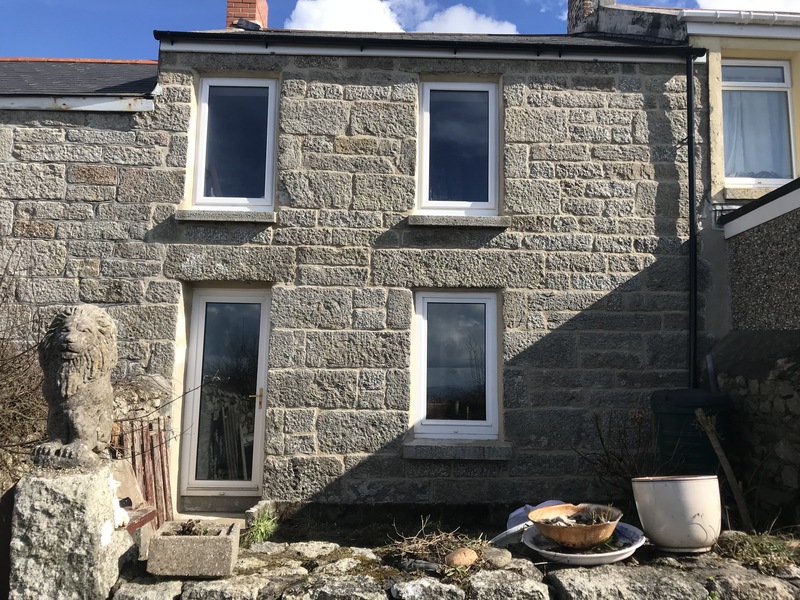 The stone in this house was of a fairly poor nature but by bringing the pointing to a flat plane it brought the wall flat. 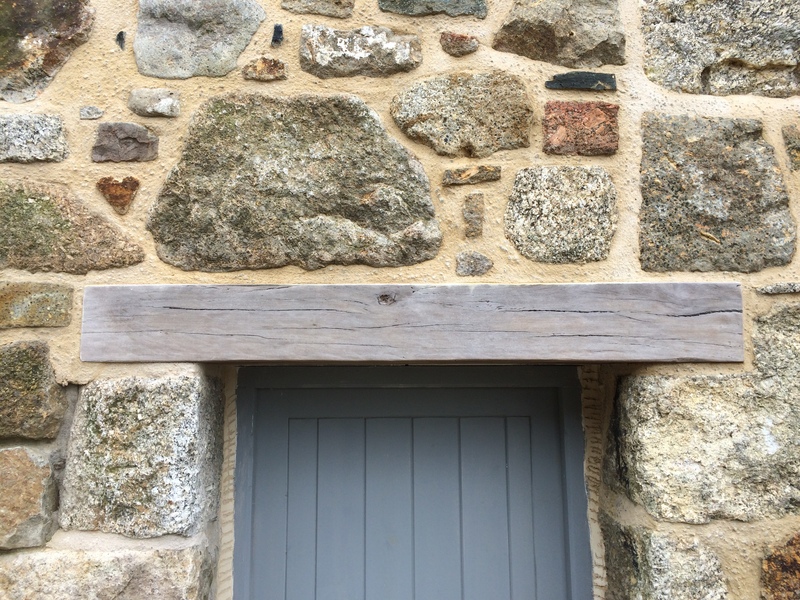 It took some painstaking cleaning of this very interesting lintel to make it look its best . Its Tregonning hill green granite and is covered in clear quartz crystals. 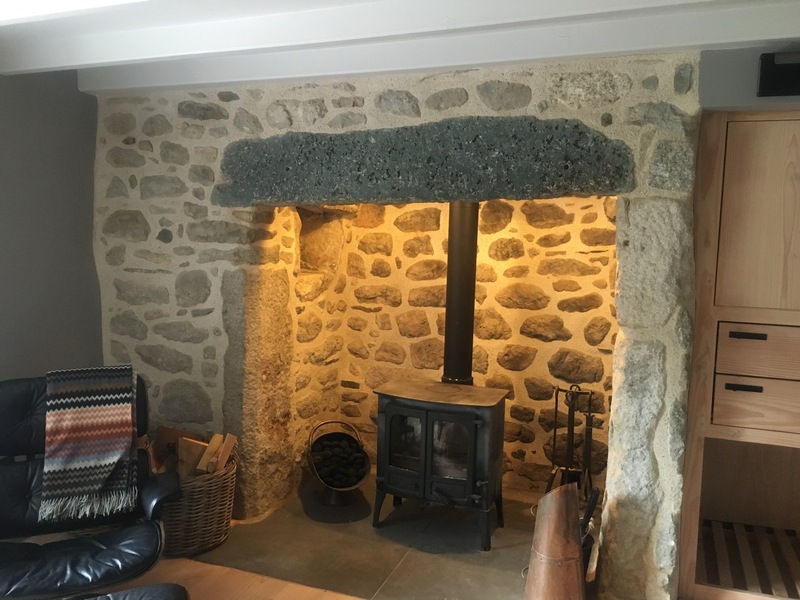 This beautiful inglenook became a real hear of the home after careful cleaning and pointing. This manor house looked lovey after we repointed it in lime. Here we can see the much older house to the rear with the newer extension added to the front. 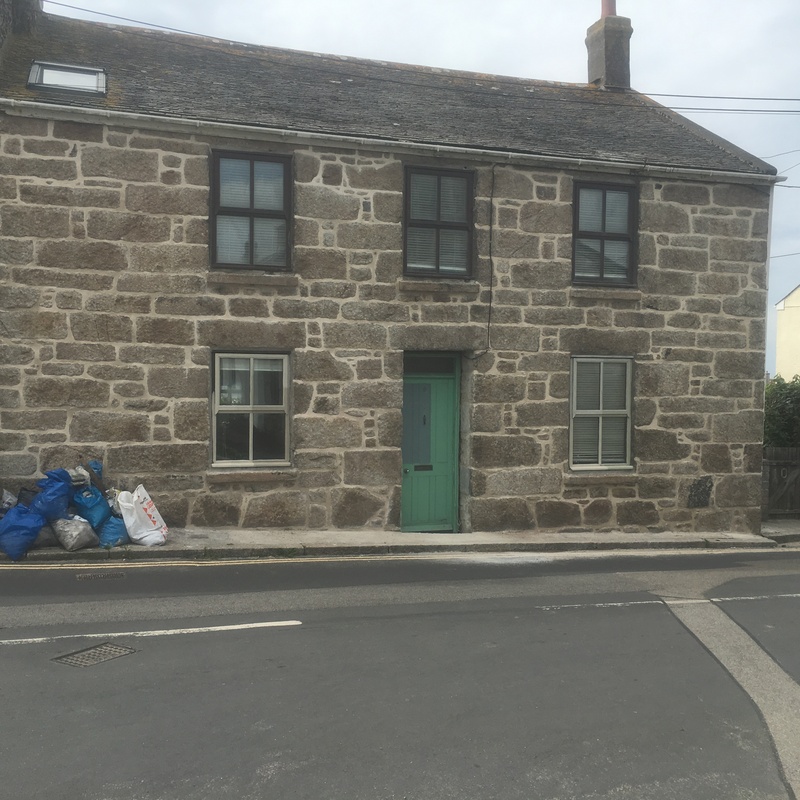 This fisherman’s cottage in Moushole had suffered quite badly during its time being cement pointed. 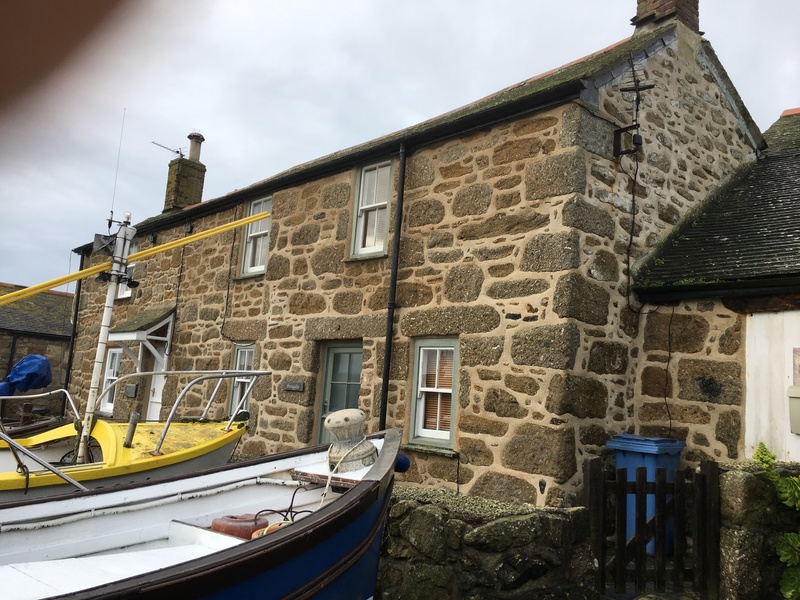 Once we repaired the damage done by the far too hard cement pointing and repointed in lime it looked rather charming . This quaint cottage in Moushole was pointed in lime. 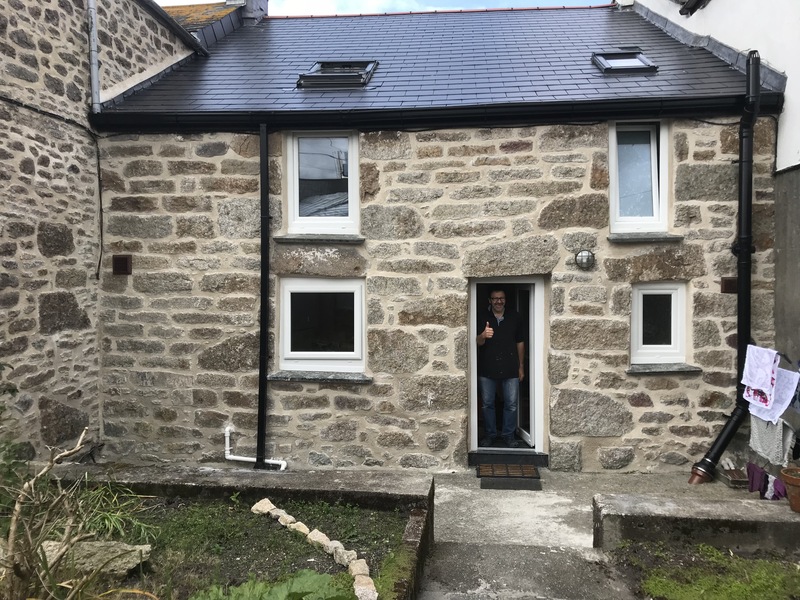 This house was a derelict cow shed when we arrived after a full barn conversion, using lime to lay the stone and a complete remodel we repointed it in lime. converted it into a three bedroom house with a massive open plan living space. 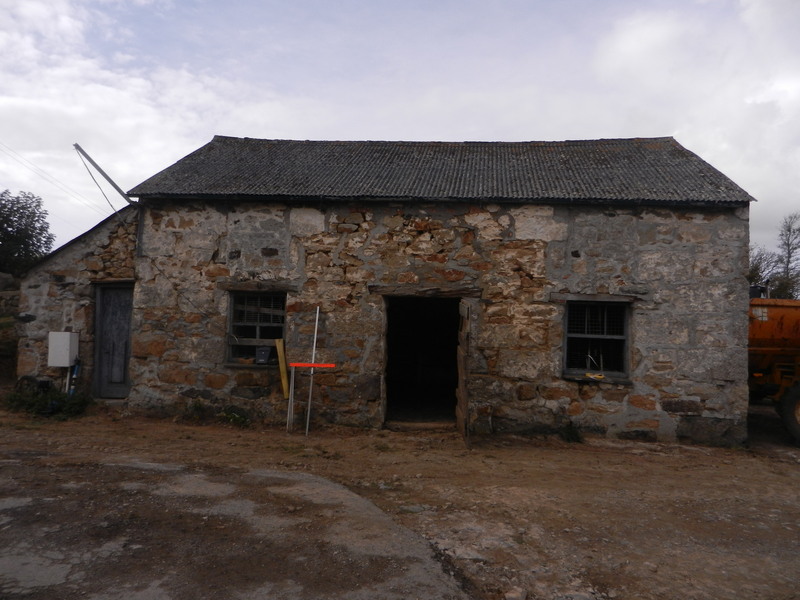 Here is a shot of the above cottage before we converted it from a cow shed to a beautiful family home. This the house above prior to conversion. 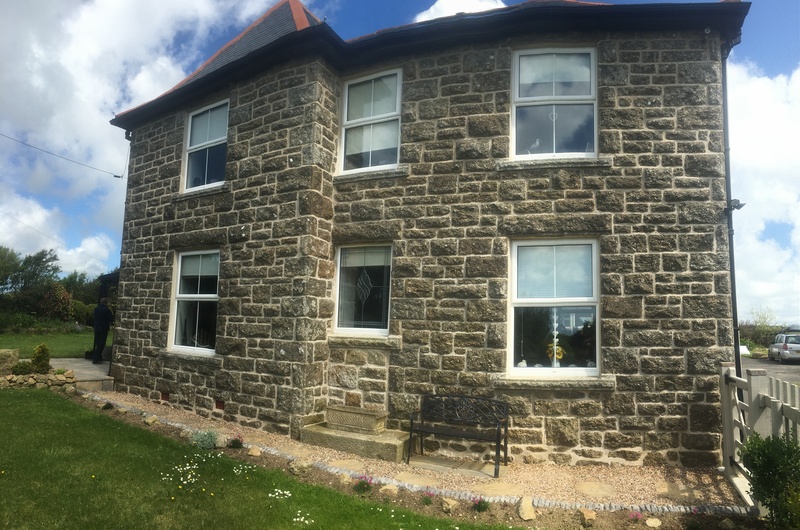 This rather grand farm house was repointed in lime. We fully renovated the property. The rest of the building is externally insulated with breathable insulation then rendered in tinted hydrophobic render. What with the solar hot water and photovoltaic panels and the breathable insulation etc there ongoing energy bills are less than £300 a year. The front facade was pointed in lime. Cottage near St Just pointed in lime. Sometimes you have to think outside the box . After the person that repointed the village hall couldn’t work out how to hide the badly constructed cement lintel and the crudely cut out door opening. I offered to hand form a door surround to mimic the shape of the windows. I think the finished result adds to the charm of the building. A St Just miners cottage with a simple repoint in lime. 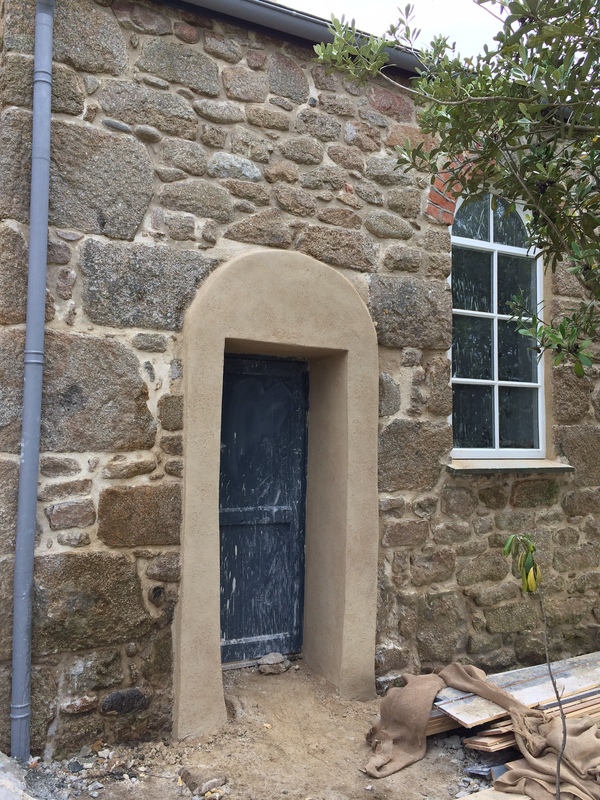 St Just cottage pointed in lime.